What does it feel like to follow in the footsteps of Britain's most successful manager? To have your every decision, move and word scrutinised worldwide? How do you capture the heart and soul of Manchester United? 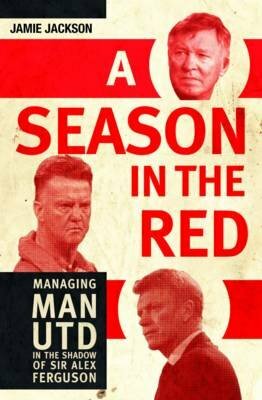 With unrivalled access to Old Trafford, Jamie Jackson charts the disastrous ten-month reign of David 'The Chosen One' Moyes and the club's first season with the Iron Tulip, Louis Van Gaal: authoritarian, joker and self-proclaimed genius. Featuring revealing interviews and analysis of the key players and events - from the Glazers and their frontman Ed Woodward's vision, the captaincy of club stalwart Wayne Rooney, through to the testing times experienced by new arrivals Radamel Falcao and Luke Shaw - Jackson reveals why Moyes was always doomed to fail and how Van Gaal has reinvigorated United's chances of winning silverware again. From boot room to boardroom, pitch side to press room, A Season in the Red is the insider's story of life in the Red seat at the biggest club in the world.